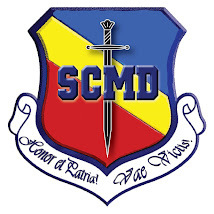 ORADEA - SINDICATUL CADRELOR MILITARE DISPONIBILIZATE: CAUT PENTRU ANGAJARE INGINER MECANIC. FIRMA DE PRESTIGIU DIN ROMANIA CAUTA PENTRU ANGAJARE INGINER MECANIC CU EXPERIENTA SI VORBITOR DE LIMBA ENGLEZA CEL PUTIN LA NIVEL MEDIU PENTRU A FI ANGAJAT CU RESPONSABILITATI IN JUDETUL BIHOR . CEI INTERESATI POT OBTINE RELATII LA NUMARUL DE TELEFON : 0745.390.007.